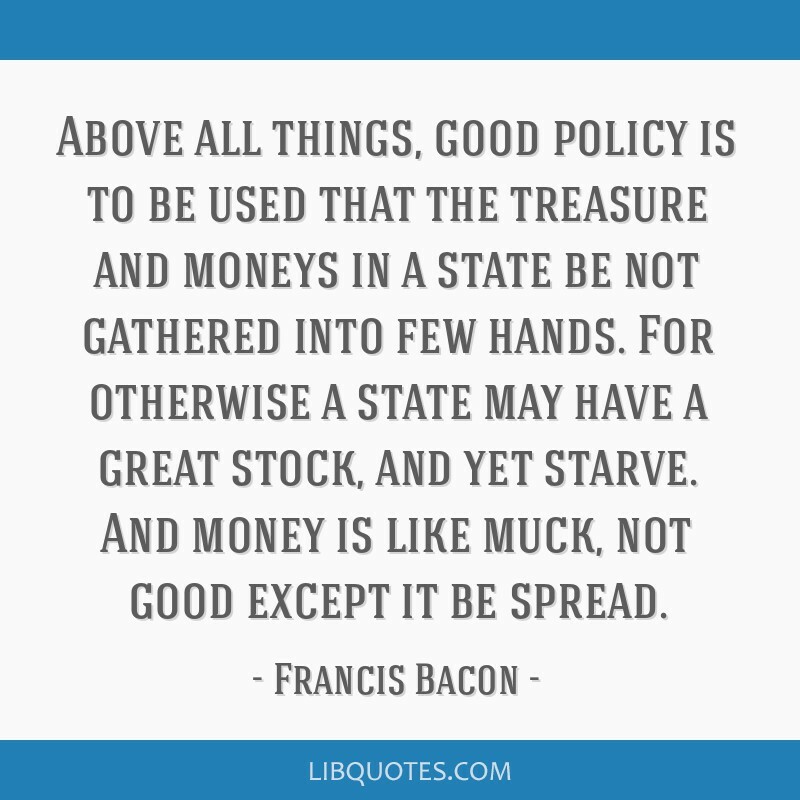 Above all things, good policy is to be used that the treasure and moneys in a state be not gathered into few hands. 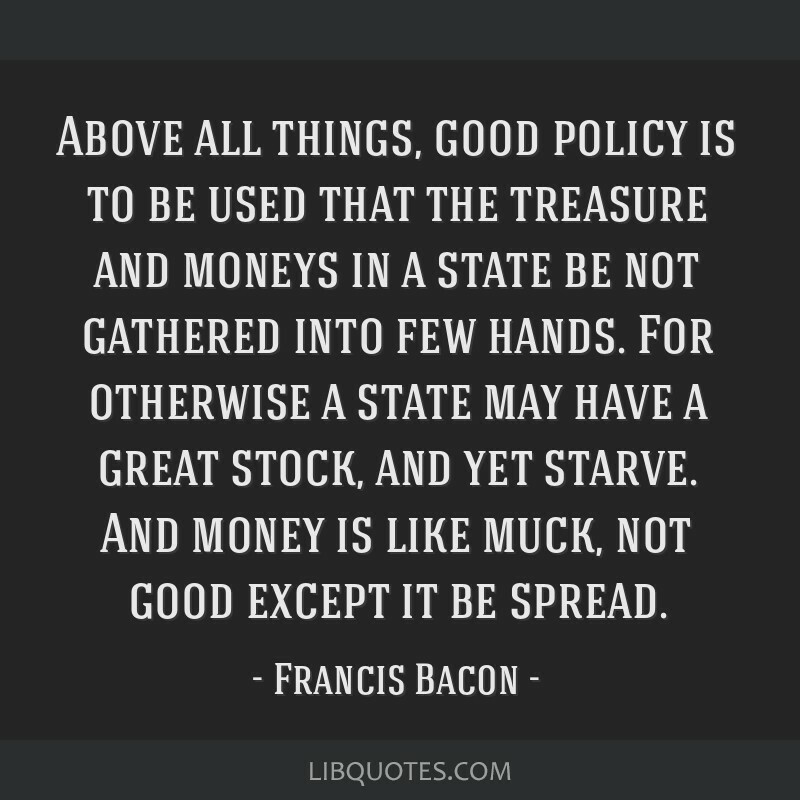 For otherwise a state may have a great stock, and yet starve. 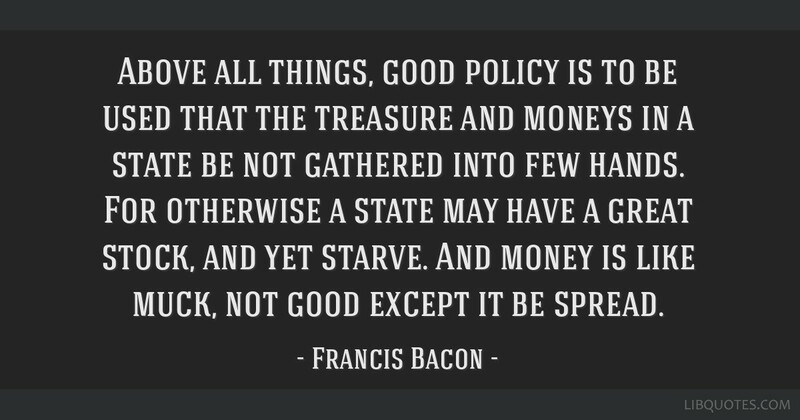 And money is like muck, not good except it be spread. 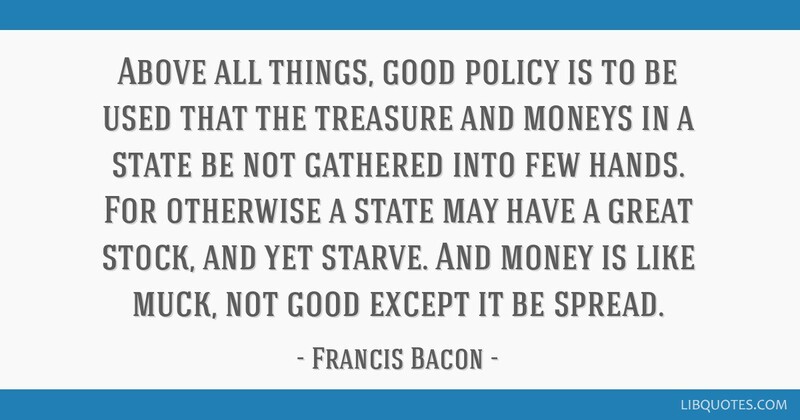 To finish a work? To finish a picture? What nonsense! To finish it means to be through with it, to kill it, to rid it of its soul, to give it its final blow... the coup de graêce for the painter as well as for the picture.